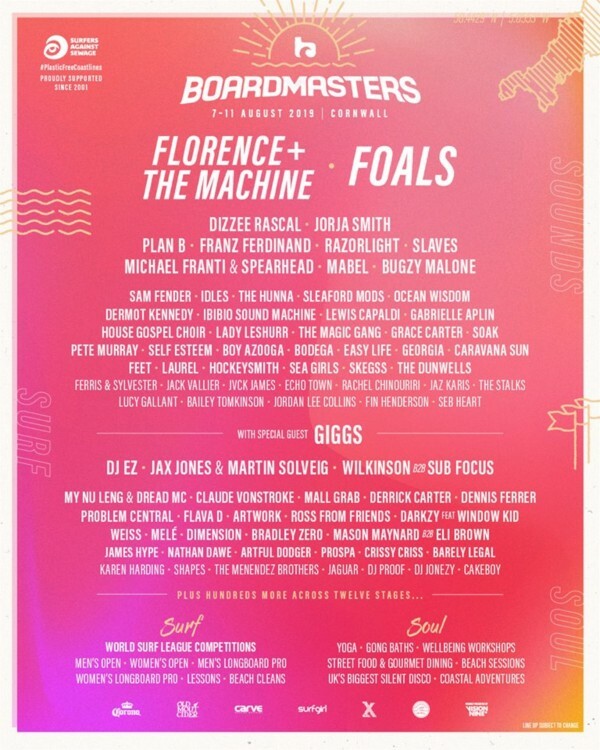 Foals are set to join Florence + The Machine as headliners at this year's Boardmasters. Other artists announced today include Plan B, Razorlight, Slaves, Mabel, Bugzy Malone, Sam Fender, he Hunna, Sleaford Mods, Dermot Kennedy, and Ibibio Sound Machine. Boardmasters is Europe's ultimate action sport and music festival, held over 5 days in Newquay - the UK's original surf town, from Wednesday 7th - Sunday 11th August. Situated across two locations along the beautiful Cornish coastline Boardmasters will once again return to deliver to you, their faithful followers, the ultimate in the lifestyle we all love. The Fistral Beach site, where surfing in the UK began, plays host to the best in action sports including surf, skate and BMX competitions. 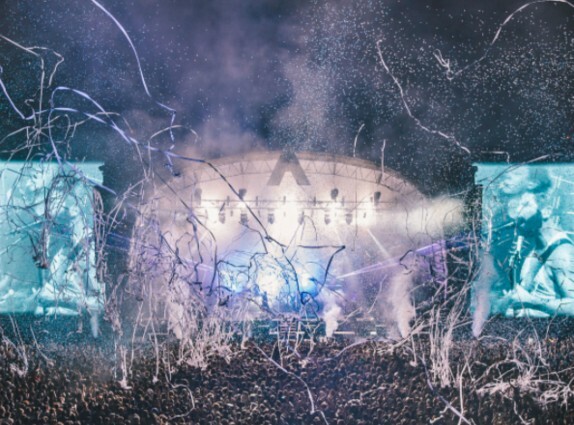 Their themed festival offers a tailored music offering across eight stages on arguably the most beautiful festival site in the UK. Also added to the bill are: Jax Jones + Martin Solveig, My Nu Leng & Dread MC, Claude VonStroke, Mall Grab, Derrick Carter, Dennis Ferrer, Problem Central, Flava D, and Artwork.